A report by federal scientists says it’s time for a new look at regulations that aim to protect the endangered North American right whale — because they aren’t working and may have made things worse. Over the last decade, regulators required lobstermen to change their gear and reduce the overall number of traplines in U.S. waters. But the new 30-page National Oceanic and Atmospheric Administration technical memo finds that a 2015 rule requiring fewer trap lines in the water — with more traps per line in some areas — meant lobstermen had to use stronger lines to accommodate the increased loads. 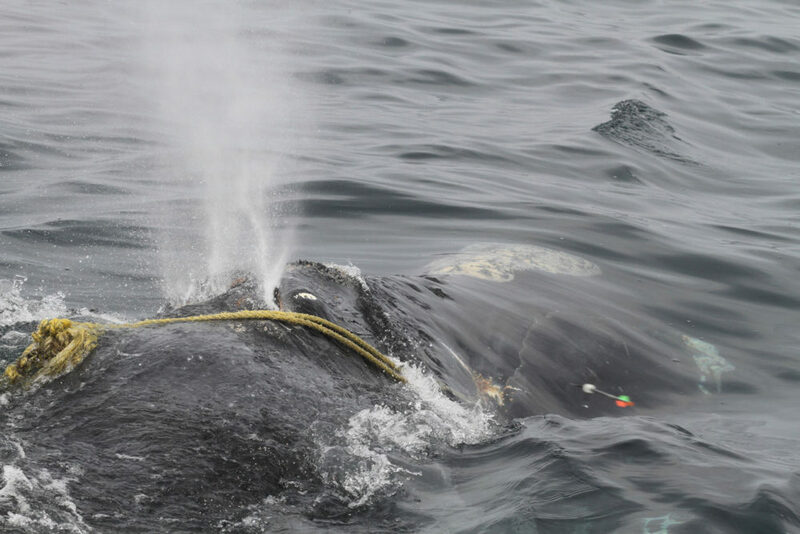 The tougher rope may have unintentionally contributed to an increase in the severity of potentially deadly entanglements with right whales. There may also have been unintended consequences of the 2015 vertical line rule. The rule required ‘trawling up’ (using more traps per trawl) in some regions. While this reduced the number of lines, it also meant that lines had to be stronger to accommodate the increased load of multiple traps. This natural adaptation, and the fact that stronger rope was available, contributed to an increase in the severity of entanglements as found by Knowlton et al. (2016), who observed very little evidence of entanglement with ropes weaker than 7.56 kN (1700 lbsf). They also find that as lobster seek cooler waters farther offshore, lobstermen are following them, right into likely whale travel lanes. Meanwhile, right whales are changing their patterns, too, swimming longer distances to forage for increasingly unpredictable prey species. In 2017 and 2018, 19 whales died from entanglement or ship strike — most of them found in Canadian waters — while stressed females produced only five calves. 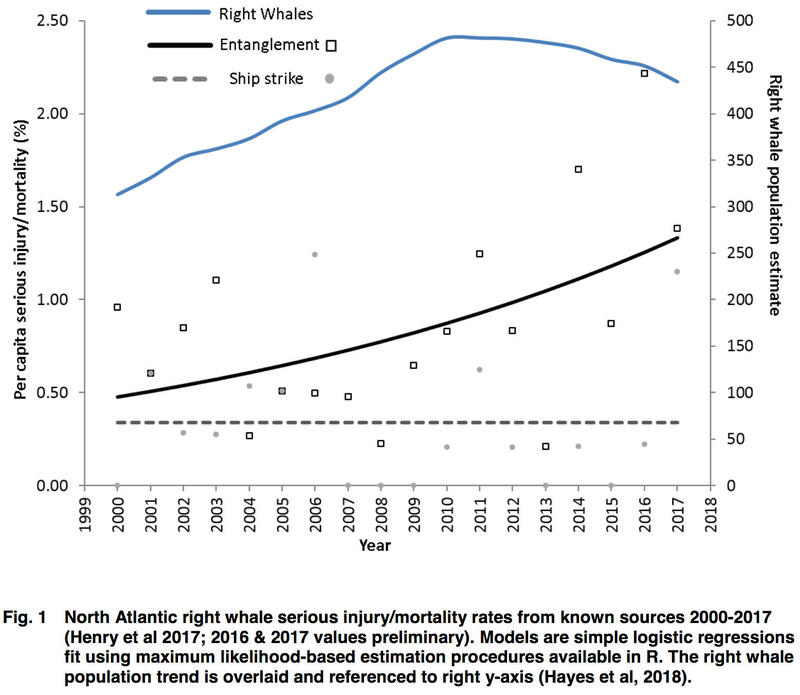 With 450 North Atlantic right whales now left on the planet, the NOAA scientists say that if the current pace of decline continues, the species could be past the point of no return within just a few decades. And the report says more aggressive gear changes and other regulatory action may be required to avert extinction. The findings foreshadow tough decisions coming next month, when a team of stakeholders tries to find compromise on gear changes — and federal regulators consider whether the Endangered Species Act requires dramatic action that could have big consequences for New England’s lobster industry. 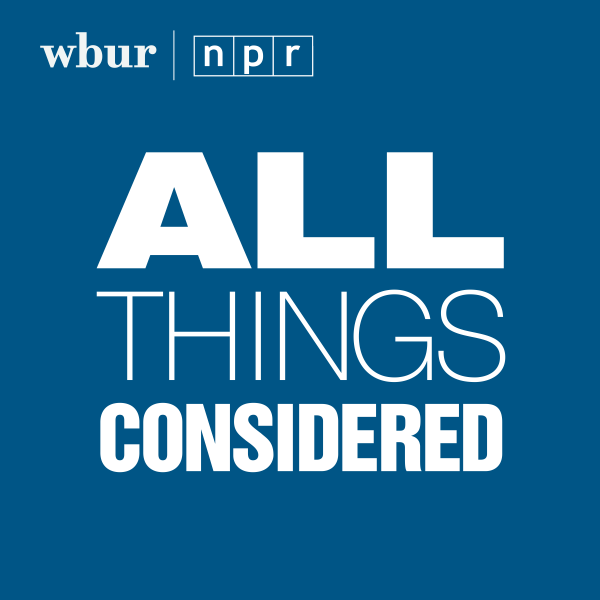 This story was originally published at Maine Public Radio.